Blogging is often referred to as one of the most valuable tools that business have, not only do blog posts help businesses engage with their target audience, business blog posts also help make the lives of a business owner so much easier when it comes to finding things to share on social media, keeping your website up to date and putting things in newsletters. Your business blog will fuel your SEO; you will be rewarded by search engines for relevant, interesting and engaging content on your website. 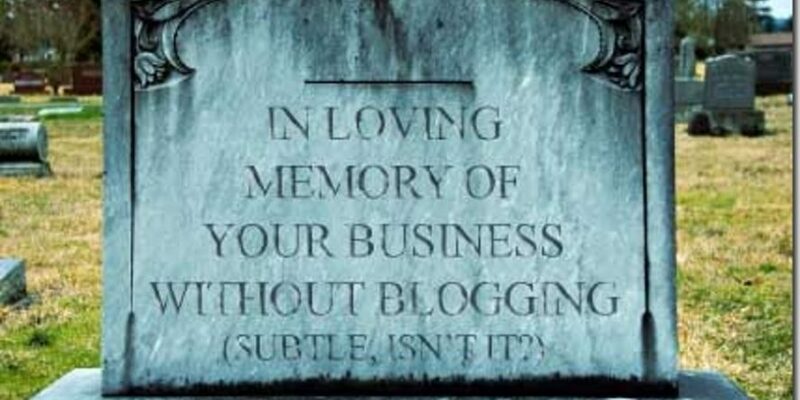 According to a survey by Hubspot, 60% of businesses who have a blog for their business acquire more customers. A blog will give your business a voice and a personality, allowing you to let your business and brand shine and really stand out from the crowd. By writing a blog post you can share your expertise and show yourself to be a knowledgeable expert in your industry, service and product. Many people actually enjoy writing a blog post as it energises and stimulates them, preparing them for the less exciting projects of the day ahead. Writing a blog post for your business can help you to stick to a goal or strategy, especially when it comes to content marketing or particular parts of your business you are keen to promote. A blog can often create free PR as the company of the blog posts may be interviewed by journalists and the media, as industry experts. Through blogging you can sharpen the focus on your business because a blog with no focus will attract new viewers. By writing a blog you can build confidence, relationships and sales because your target audience will look up to you as a reliable source of information. If you think blogging could work for your business but you haven’t had the time or would like a helping hand, then why not give us a call?